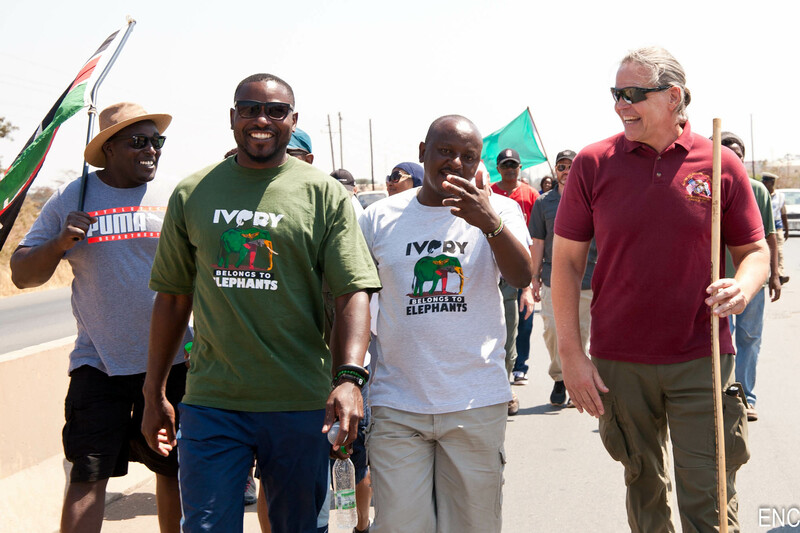 The elephant walk dubbed “ Ivory belongs to elephants enters in Lusaka Zambia capital, led by Jim Justus Nyamu who globally known for his grass-root campaign was officially received in Lusaka in a team of 6 Kenyans and 1 Zambian arrived on August 29th 2018. 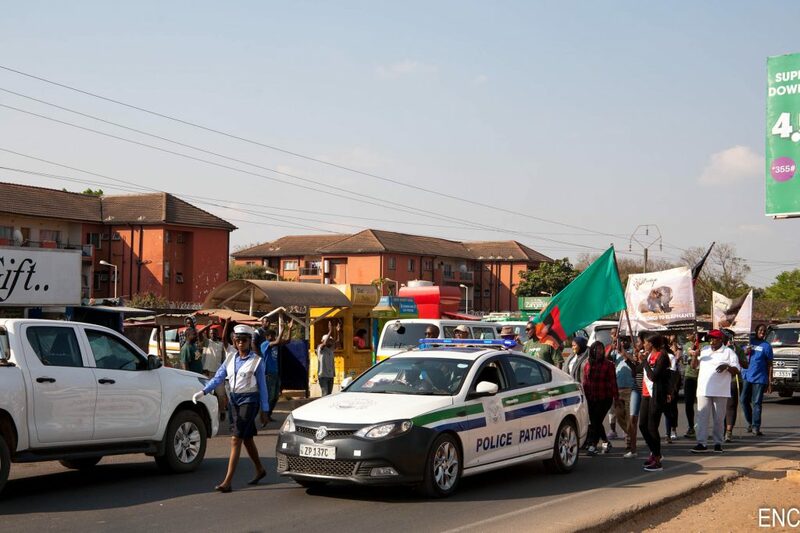 After spending 20 days walking across Northern and Eastern Zambia the team arrived in Lusaka and were received by Mrs Jane Kario Acting Kenya High Commissioner and Kenyans living in Lusaka. 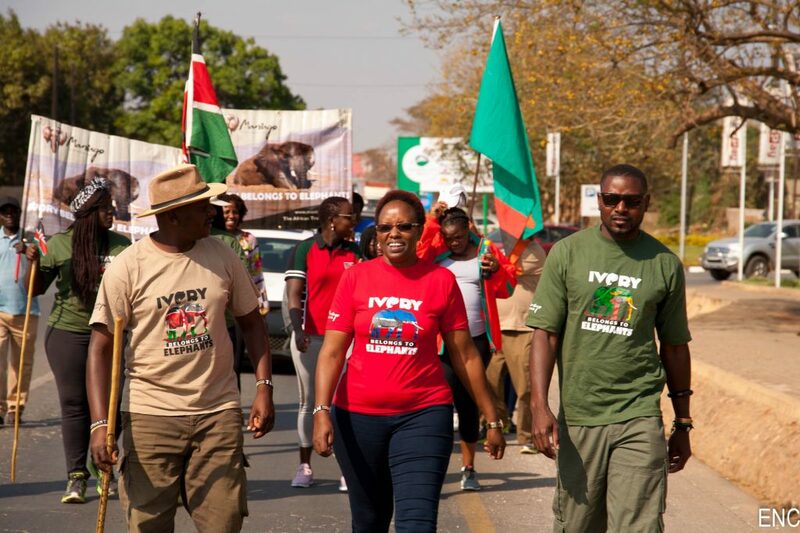 ‘ We have been waiting for you Jim and your team and we are delighted that despite the terrain and baking sun you have made it to Lusaka looking hard-wearing notwithstanding of the fatigue says Madam Jane “ I would like to assure you of our support while in Zambia as you spread your campaign message that Ivory belongs to elephants she adds . 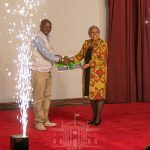 While in Lusaka Jim Nyamu held a press brief at Kenyan High Commission boardroom, in his statement he challenged the Zambian Government to critically conserve the wildlife habitats and the wildlife therein. “ Zambia is beautiful and despite the poaching and falling-off in wildlife numbers your wildlife look health as well as your ecosystems says Nyamu “ Listening to most of the people, government officers and stakeholders along my route its very clear that this message was overdue Jim adds when he paid a courtesy call to WWF and held a length discussion with Zambia Country Director Ms Nachilala Nkombo . At WWF Jim found one of his former colleague in KWS Dr. Seif .M. Hamisi ! Your unique way in conserving elephants will never go overlooked and that is why we have to support your cause, we shall fuel your two support vehicles because you compliment our determinations says Dr. Hamisi. The Kenyan elephant scientist and the founder of Elephant Neighbors Center www.elephantcenter.org , held a brief meeting with the Secretary of Zambia Parliamentary Caucus committee Hon. Nickson Chilangwa MP who is also the Provincial Minister of Luapula Provincial Administration . 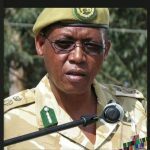 “ Africa share and experience similar challenges despite the political boundaries, your position and mandate as legislature is to make policies that govern and direct humanity; I have one appeal though your leadership that you may integrate grass-root views in your national wildlife and environmental policies says Nyamu. This way we shall overcome the perpetual and indigenous gaps between our communities and policy makers, I believe we have what its takes in identifying our catharsis that drives to ineffectual sustainability Jim adds. On behalf of my committee who are aware of your campaign I welcome you in Zambia, we hold Kenya with high reverences due to your conservation and policy opinions and your leadership spearheaded by your President. I would like to invite you to meet all my committee upon returning to Kenya, I agree with you its our obligation and it is in our hands says Hon Chilangwa , I wish you all the best in your remaining journey in Zambia and we are ready in supporting you upon your request Hon Nicholas adds. This meeting was organized by ICCF “ International Conservation Group Ms Mulima Wamunyima, Youth Environmental Network and US- Embassy Zambia. On 1st Sep 2019 at Cosmopolitan Mall, Jim was flagged off by H.E Daniel, L Foote US Ambassador, Jim and your team! I would like first to congratulate you for your daring journey walking and engaging all of us in your campaign. I learnt that my counterpart in Kenya H.E Robert Godec among other dignitaries flagged you off from Nairobi Kenya, your passion and dedication has brought us here and I want to assure you that i am ready to do anything in saving elephants says Ambassador Foote. In America in 200 years ago had half a million Bison and 9 year ago only we have 1,081 Bison left in America, Africa should learn from America and save the remaining elephants Ambassador added. Our commitment still stand as promised and my High Commissioner and Kenyan community are here to demonstrate this by walking the entire walk with you says Ms Siti Mohammed representing Kenya High Commissioner. 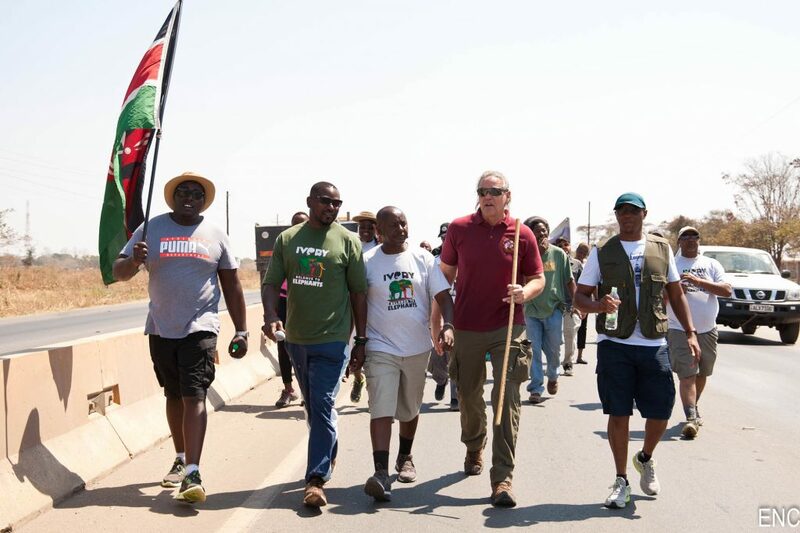 I am so delighted and feel honored to be part of this walk, I learnt about this walk from my colleague in Nairobi Dr. Vincent O’Neil and my Embassy and I are here to demonstrate our commitment and support your undertaking in saving African elephants says Irish Ambassador Se’amus O’ Grady . I am so delighted and i feel am not alone on this campaign says Jim who was later flagged off from Cosmopolitan Mall and walk up to Chilanga passing next to Department of Parks and Wildlife office before finishing the walk at Chilanga , he is expected to start the walk from Chilanga and will be handed over to Zimbabwe team on Sept 10th at Livingstone.